Use free Wi-Fi at airports. Ask. Get an instant reply. Airportwifibot offers a wide range of features. 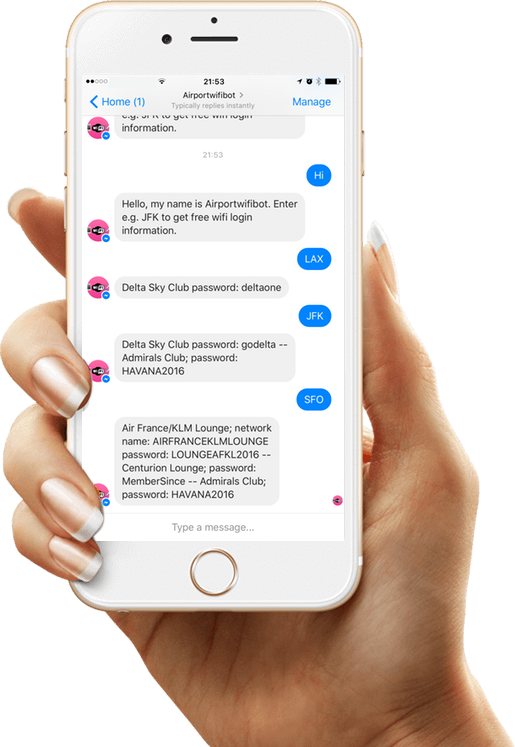 Get instant reply from the Airportwifibot in Facebook Messenger. The Airportwifibot covers at least 150 airports with Wifi logins. Enjoy further support during conversations with the Airportwifibot. It´s our goal using the latest technology available.